Sales pros know that we are in the midst of one of the most turbulent and competitive periods in the history of selling. There are more players in the game, and the game is far mole complex. Customers want innovation. They want custom-made solutions to their problems, and they want them now. The risks are greater, but so are the opportunities and rewards. The top salespeople—the people Larry Wilson quotes and profiles in this book—know this. They’ve changed the game of selling, and they have become very successful doing it. They know they have to be leaders within their own organizations, and they know that when it comes to their customers, the strategy of the future is cooperation and teamwork, not confrontation. 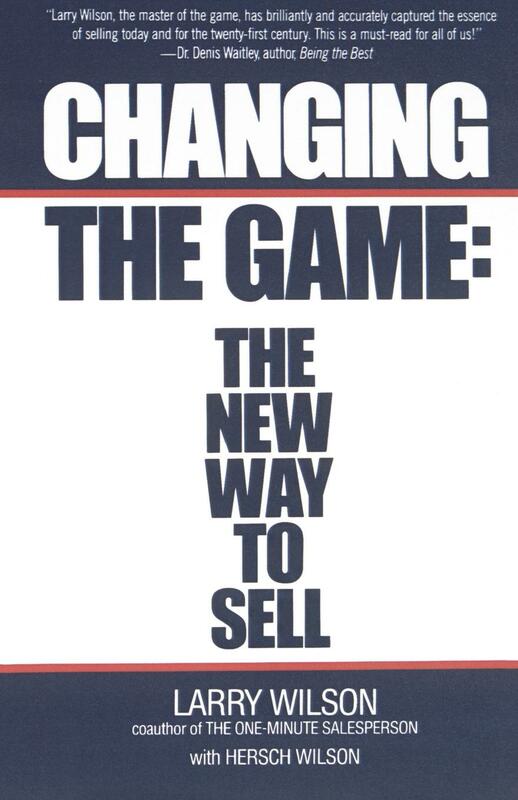 In Changing the Game, Larry Wilson draws on his thirty years of experience as a thinker and innovator in selling. He was founder of the Wilson Learning Corporation, one of the largest sales training organizations in the world, and coauthor of the business bestseller The One-Minute Salesperson with Dr. Spencer Johnson. His latest venture, the Pecos River Learning Center in Santa Fe, New Mexico, is dedicated to helping corporations and the individuals who work for them create the powerful teams that will be the keys to future business success. Changing the Game is Larry Wilson’s latest and boldest thinking about the future of selling—a future that is as close as tomorrow’s first sales call.